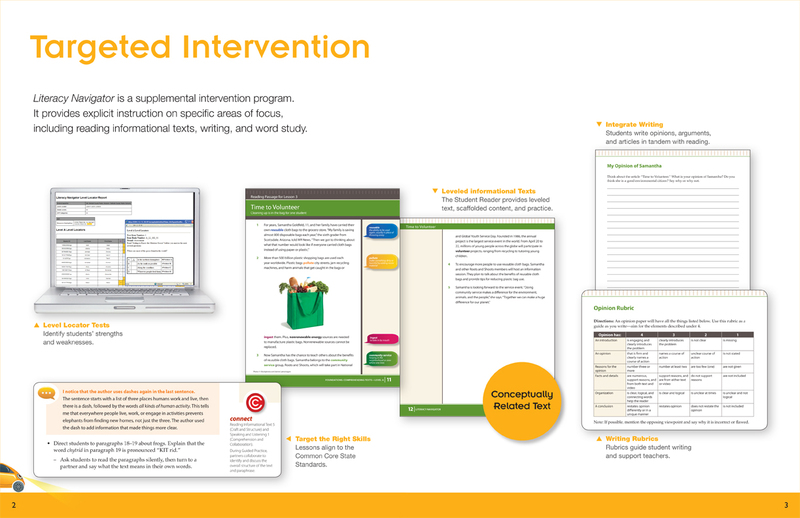 Literacy Navigator Common Core is an intervention program that provides explicit instruction on reading informational texts, writing, and word study. Literacy Navigator is organized into 5 levels. Each level increases in complexity, so you have flexible intervention options. 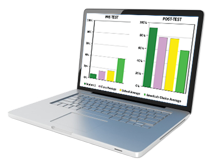 DRA™ scores or the program’s Level Locator test help you select the right level for your students. Each level of Literacy Navigator has 30 Foundations Lessons and 15 Word Study Lessons. The Foundations Lessons focus on helping students understand informational texts and develop content knowledge related to science. 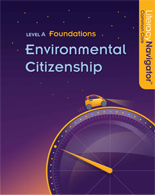 The Student Reader provides leveled text, scaffolded content, and extensive practice opportunities. 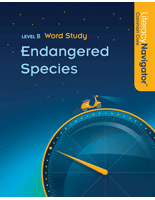 Literacy Navigator helps all students engage with complex text. Five levels of complexity offer you intervention options. 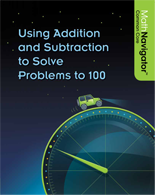 Use Literacy Navigator to supplement your elementary reading curriculum. Use it in middle school to prepare students for high school or with ninth-grade students who read far below level. Each lesson takes about 45–50 minutes and follows a consistent, daily routine. 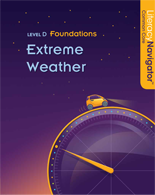 Literacy Navigator helps you deliver precise intervention and track student progress through Level Locator tests, pre-tests, checkpoints, and post-tests. It’s all part of the powerful Assessment and Reporting Online System (ARO).